Simply move in and enjoy! All the hard work here has been done allowing you to kick back and appreciate my vendor's hard work and great taste! Be wowed by the on trend transformation inside and out enhanced by all new fixtures, fittings and furnishings. The crisp new paintwork is complemented by all new drapes, carpet and tiles and wait till you check out the brand spanking beautifully appointed kitchen and bathroom! The sunny north facing semi open plan living has French doors opening outdoors and will have a brand new free standing wood burner installed. All the bedrooms are double in size, each with a wardrobe. 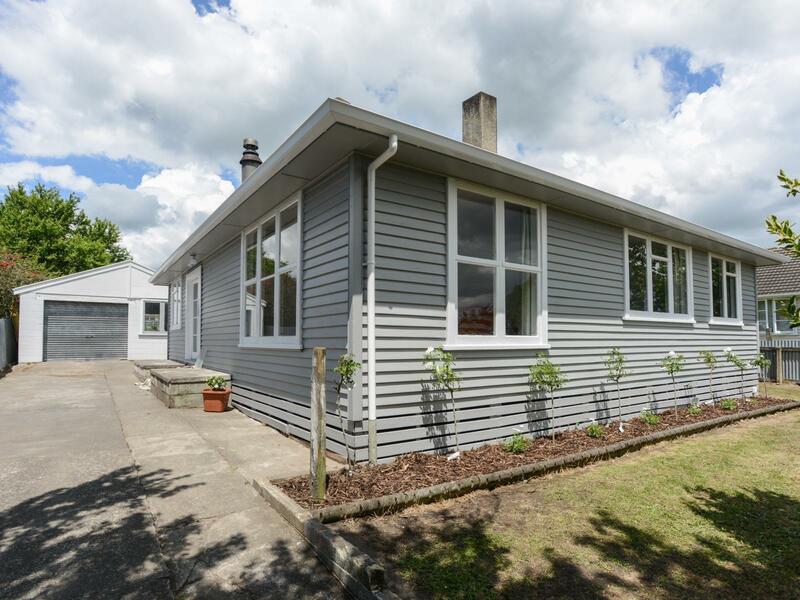 Sited on a 752m2 section with a extra large single garage and separate laundry/store room while being a short walk or scooter ride to the local kindy and school.